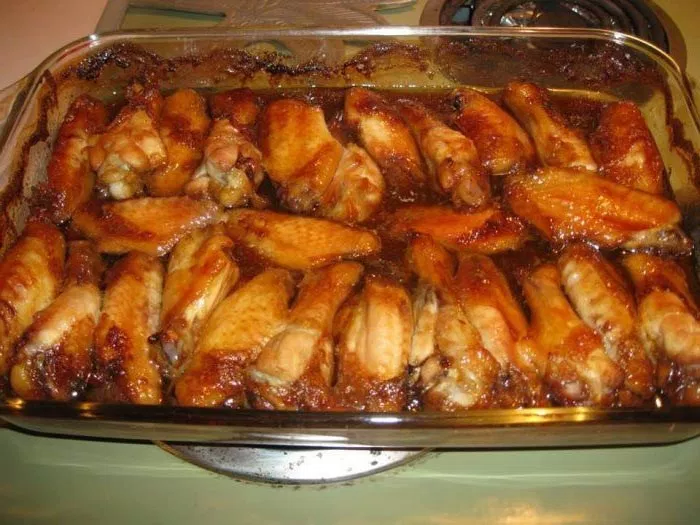 Place a single layer of wings in a 9 x 13 pan. In a small pot put the dark brown and the white sugars and the soy sauce and mix together. Heat on the stove until sugar dissolves. (It does not need to come to a boil.) Then pour this mixture over the wings. Bake at 325 uncovered for 1 1/2 hours.